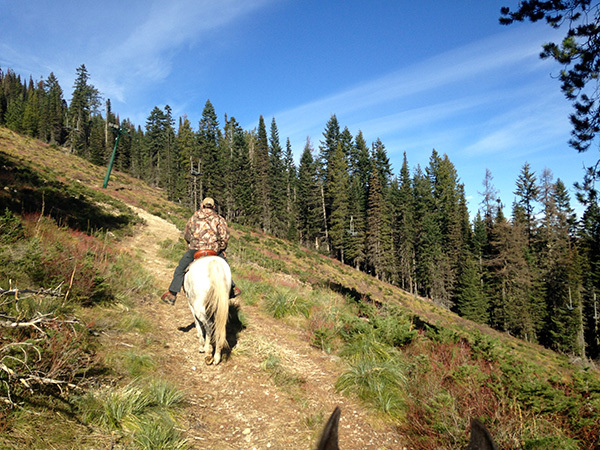 Checking out the view from the saddle of the forests of the richly Selkirk Mountains. Stunning! 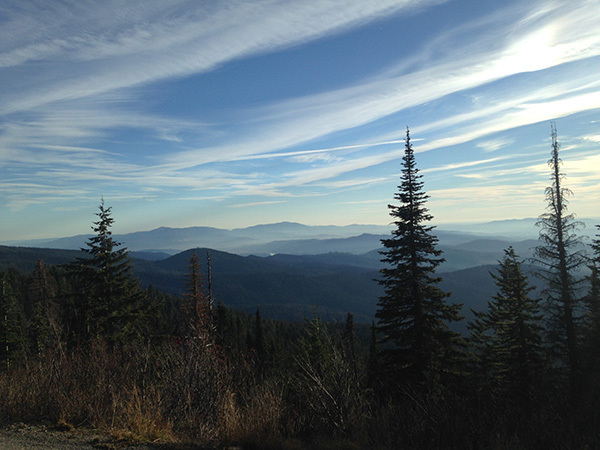 Mount Spokane is surrounded by Mount Spokane State Park, Washington's largest at over 13,000 acres. 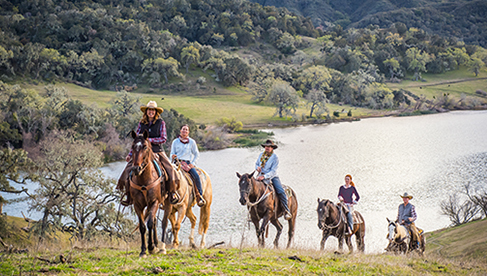 It's a wonderful place to explore on horseback in the summer and fall months with 100 miles of trails, huckleberry picking, and beautiful surrounding views of the Selkirk ranges. 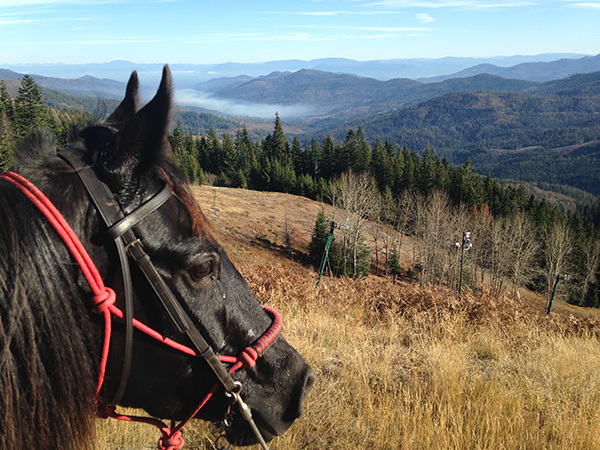 Mount Spokane State Park offers nordic skiing, snowshoeing and snowmobiling in the winter and camping and horseback riding in warmer months. Located in Eastern Washington northeast of Spokane, Washington, many of the surrounding lakes can be seen from many vantage points on the mountain. If you would like to take it easy you can park at the Selkirk Lodge and ride the cross country trails or you can get quite the elevation gain if you park lower on the mountain at the Lower Loop Road parking lot and ride up to the top. Typical huckleberry season runs from late July until August but this can vary. You can also make many smaller loops or ride all the way around the peak, with some areas of heavy elevation. There is something for everyone here! It's why I love riding in America's Northwest. The author with one of her Saddlebreds. 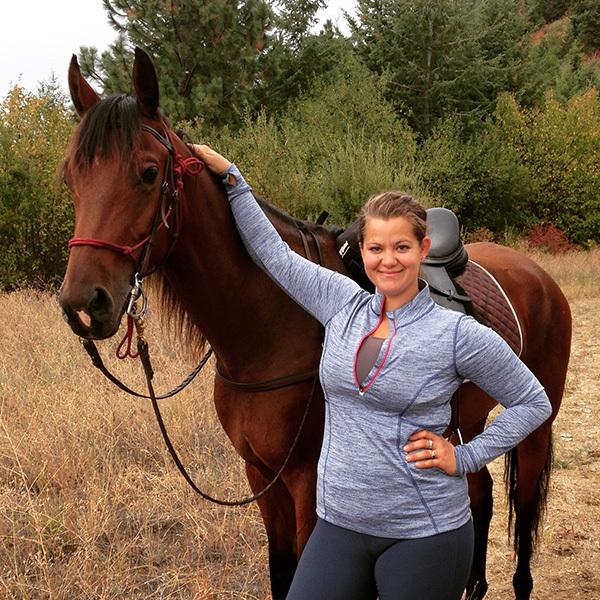 About the Author: Shelah Wetter is a horse trainer and enthusiast with Blue Haven Stable in Deer Park, Washington, She spends as much time as she can on the trail atop her American Saddlebred mares. 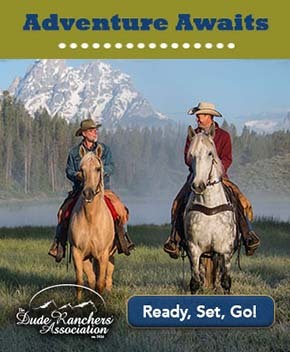 In 2016, she rode 2800 miles on horseback almost all on Saddlebreds. She is always looking forward to the next trail ride in the Northwest!